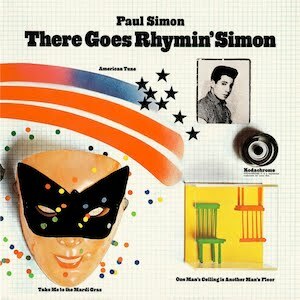 In May 1973, Paul Simon released There Goes Rhymin' Simon one month before my high school graduation. As mentioned in previous blogs, my good friend, Paul Hobbs, purchased this album and I went over to his house to listen to it like with so many other albums. I loved Rhymin' Simon so much that I in fact, purchased it myself shortly after and continued to burn that vinyl record out during my college years. My next door neighbor at the time (also previously mentioned in my blogs) was Ron Zieman. 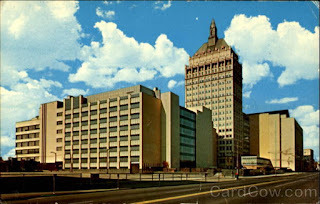 In the early 60's his family had moved from Rochester, New York as his dad, Ray was selected by his employer, Eastman Kodak to work at Vandenberg Air Force Base. In 1965, my family moved next door to the Zieman's on Tunnell St. in Santa Maria, CA and started a long-time friendship that endures to this day. 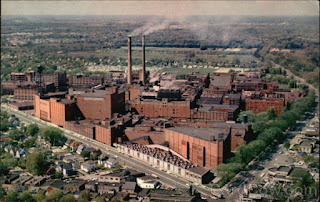 During my time with the Zieman family on Tunnell, I began to learn a little about Eastman Kodak as a powerhouse of American manufacturing, not knowing at the time, that the quiet mannered Mr. Zieman worked for Kodak with our Government developing cold war spy satellite technology against the Soviets. 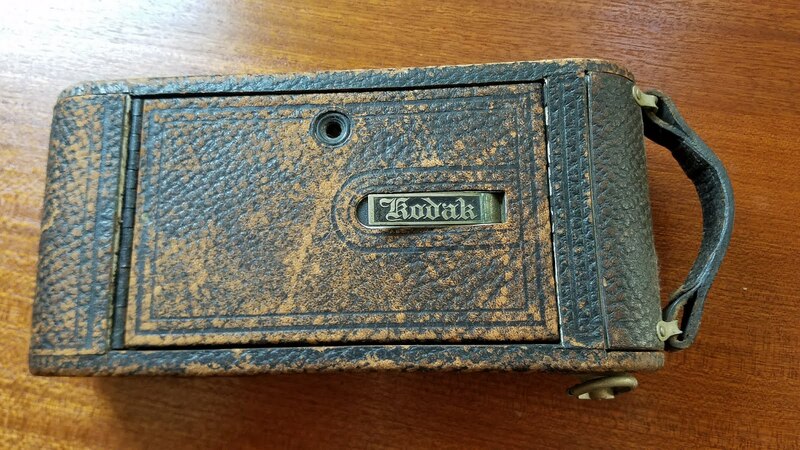 Back then, Kodak was literally everywhere. 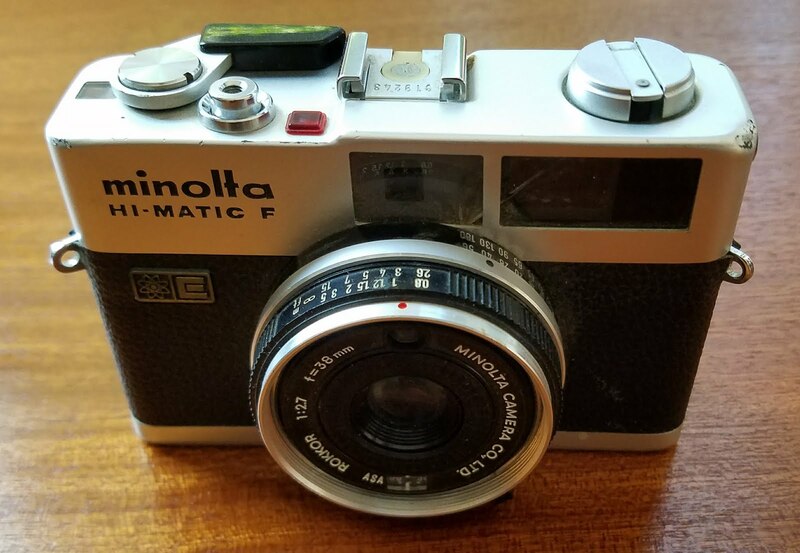 From being a senior in high school, my girlfriend Mary Kit (also mentioned many times in my music blogs) bought me this very Minolta Hi-Matic F 35mm camera for Christmas in 1973. So as an American consumer, I graduated from buying Kodak Pocket Instamatic 110 cartridges to now buying Kodak 35mm film. With the popularity of the hit single, Kodachrome which peaked at #2 on the Billboard Charts that June of '73 and with my new camera in hand, I started to buy Kodachrome film. As I began to experience photography, I learned of Kodachrome's color richness properties that made photographs a magical enhancement of real life. Kodachrome 25 and 64 became my go-to film rolls. I also learned that Kodachrome was very popular with professional photographer's. I thought maybe I could get a little closer to their art rubbing off on me by buying the film they used. An interesting fact to There Goes Rhymin' Simon is that Kodak made Columbia Records put the registered trademark symbol (®) after the song's title on the album cover. Paul Simon sold a lot of records with that song not to mention vast quantities of film he sold for Eastman Kodak to kids like me. In 2003, I remember doing a photo shoot for my friend Bill with his wife and son in their sheep field on Vashon Island in Washington. I was using a Sony digital camera and remember going to the very small and only photographic shop on the island. I was going to get prints made of the shoot and brought in my digital photo card to upload in their new digital photo processor. We could pick out the digital shots we wanted and they would be developed into prints for later pick up. I will never forget the owner who was helping us and complaining the whole time how digital photo technology in general was terrible as nobody was buying film anymore. I remember thinking, this guy is a dinosaur and wondered how long he was going to be in business with his attitude and the changing times. A year or two later, when I was back on the island, I remember looking at that shop as we drove by, it was now a clothing store. Several weeks ago, I was in my car listening to NPR's Marketplace with Kai Ryssdal as he was doing a story on Kodak and Rochester in a continuing series called, How the Deck is Stacked and this segment titled, Rochester looks to rebuild from the rubble, Can manufacturing save America?. This broadcast caught my attention on two fronts, one, my association with the Zieman's and Kodak and two, I was scheduled to speak at the Leatherstocking Library Conference about 120 miles east of Rochester outside of Syracuse in Vernon, New York. The report was fascinating describing the heyday of the Kodak Park facility in Rochester employing 30,000 local residents. The demise of the former Eastman Kodak is quite astounding for the fact that Kodak invented the digital camera, yes drum roll... in 1973. I don't expect you to read all my links, but this link just above from the New York Times by James Estrin is a must read and the big idea to this blog. Go ahead, you have the time. 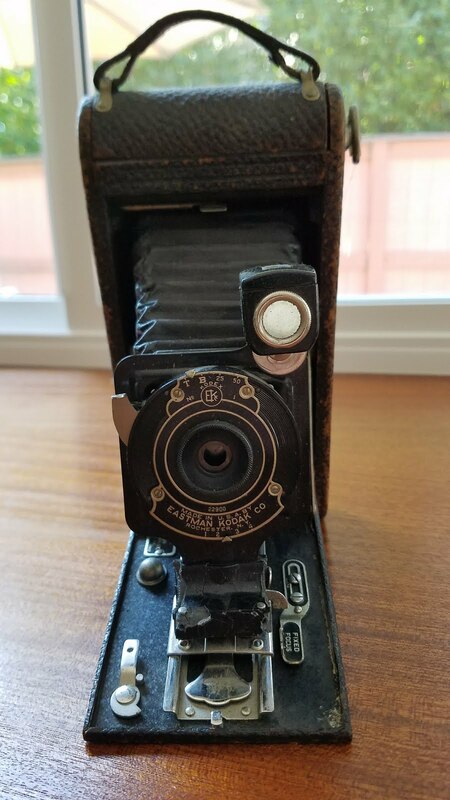 Okay, you read the article, so the irony should not be lost on you or me taking photographs of my still intact Minolta Hi-Matic camera above, and my family's vintage Eastman Kodak Folding Autographic Camera below, with my very digital smart phone. Kodak and their wonderful products like Kodachrome, represent America as the innovative and creative company that helped build this great nation. I'm dismayed when our current political rhetoric reverts back to the glory days of America; yes, we have created and built great things in our history, but it really doesn't need to be beaten into us with fear. Instead, I'm always inspired by our national spirit, not to be longing for the old days and old ways, but moving forward to new days with new technology and products to help us along the journey. Rochester is the story of American manufacturing. Now, how will Rochester and the nation engage our young people to be successful in today's economy? 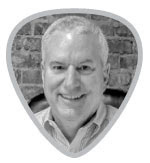 How will our education system create learning innovations to seed new American product innovations in our country? That's all I'm trying to get some rest. As American's, we have the freedom to let our music sing the truth, we get knocked down, but have the ability to get back up and make our way. As life always balances with things old and new, we can take our adaptive spirit and build upon our new innovations. As you begin your Monday working day, I wish for you a creative and productive day. Here's a three song playlist from There Goes Rhymin' Simon to start it off.